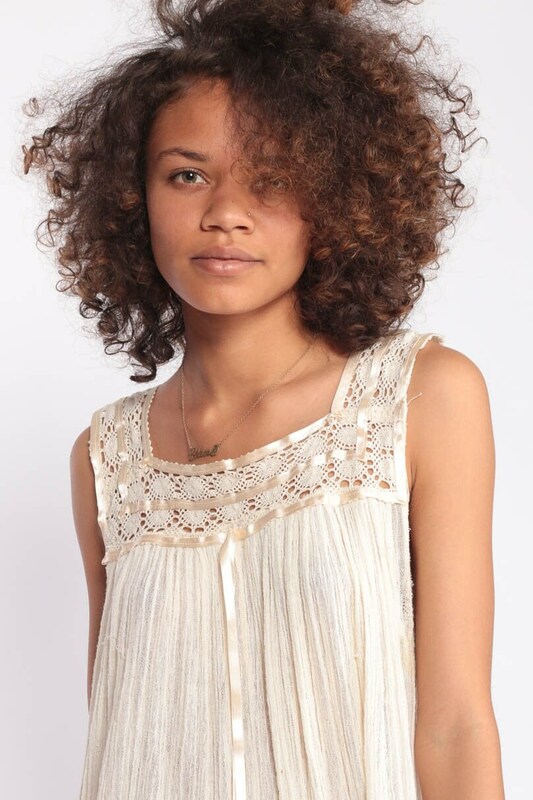 Vintage tunic top or micro mini dress in white gauze with a crochet neckline. Trapeze tent cut. Condition: Good vintage. Gauze weave is slightly more open in the armpit areas. Faint discoloration in both armpit areas that can come out with cleaning.